WT, ITF Demonstration Team will give opening ceremony of 2018 PyeongChang Winter Olympic Games including Prerelease demonstration in Sokcho City. 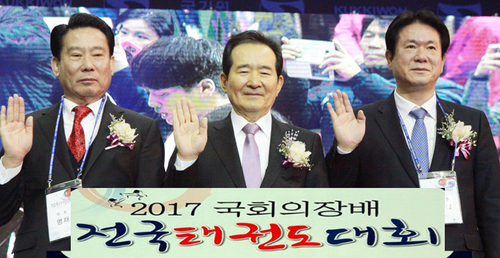 kwondo demonstration team will be held at the 2018 PyeongChang Winter Olympic Games starting February 9. 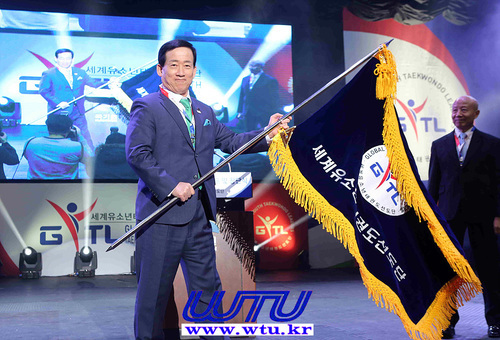 Six ITF executives, including the ITF President RI Yong-Son, will arrive in Gimpo Airport from Beijing on February 7, and 28 ITF Taekwondo demonstrators, including leader Park Young-chil, will visit South Korea by Gyeongui Line land route on the same day. On February 15, six executives will leave to Beijing, and the demonstration team will go back to North Korea by Gyeongui Line land route. 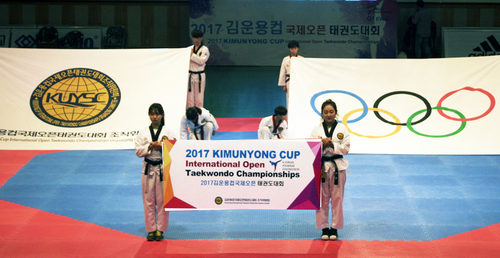 WT and ITF Taekwondo demonstration team will participate and perform joint demonstration in the prerelease opening ceremony of the 2018 PyeongChang Winter Olympic Games held on February 9. 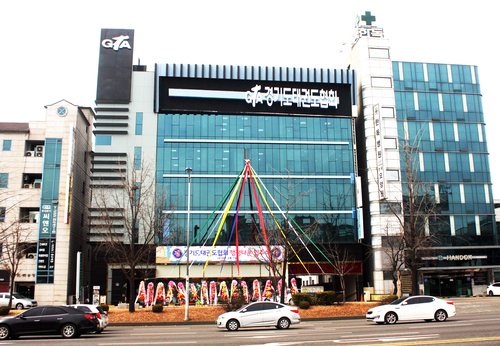 In addition, on February 10, will be held jointly at the Gangwon Jinro Education Center in Sokcho, and four times at Seoul City Multi-purpose Hall and MBC Sangam Hall respectively on the 12th and 14th. Except for the prerelease opening ceremony of the PyeongChang Winter Olympic Games, rest of the three times of demonstrations will be held for total 60 minutes, including 25munites for WT and ITF respectively and 10minutes for the joint demonstration. The WT and the ITF agreed on signing of a consensus protocol, which contains mutual recognition and respect, organizing a multinational demonstration team. 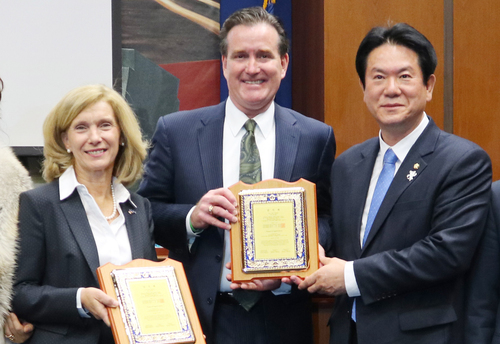 This consensus protocol was adopted by WT President Chungwon Choue and ITF president Chang Ung, who was then Chairman of the IOC, in the presence of IOC Chairman Thomas Bach in Nanjing, China, where the Youth Olympic Games were held in August 2014. 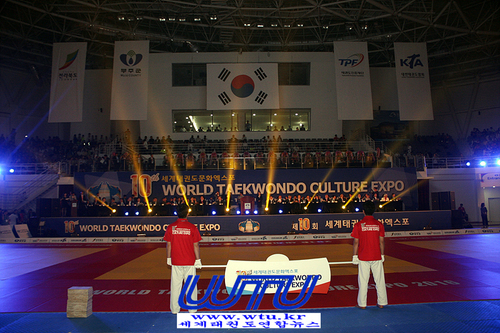 At the opening ceremony of the World Taekwondo Championships in Chelabinsk, Russia in May 2015, the WT and ITF Taekwondo Demonstration Team performed joint demonstration for the first time ever, and then at the opening and closing ceremony of the World Taekwondo Championships held in Muju in June 2017, ITF Taekwondo demonstration team had visited and performed demonstration. 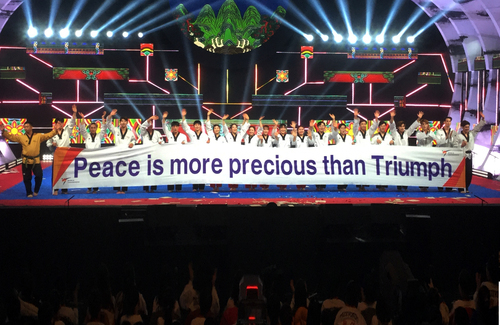 This performance is held in eight months after the verbal agreement of joint demonstration at PyeongChang Winter Olympic Games, by president Chungwon Choue and RI Yong-Son at that time. 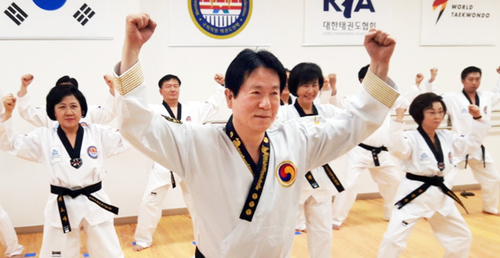 ITF members who are participating in the Taekwondo demonstration of PyeongChang Winter Olympic Games are 20 members, including two directors. 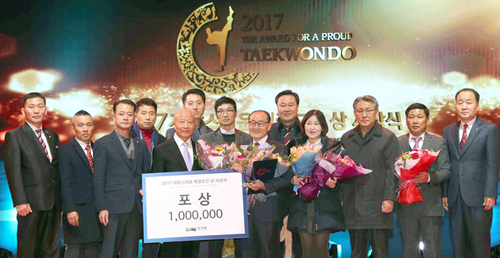 Also, Song Nam-ho director and 10 members are consisted of the members who were participated in the last Muju World Taekwondo Championships. 2월 9일부터 열리는 2018 평창 동계올림픽대회를 맞아 세계태권도연맹(WT)과 국제태권도연맹(ITF) 태권도 시범단의 합동 시범이 열리게 된다. 리용선ITF 총재를 비롯한 임원 6명은 2월7일 베이징에서 김포공항을 통해 입국하고 박영칠 단장을 포함한 ITF 태권도 시범단 28명은 같은 날 경의선 육로로 방남하며, 2월15일 임원 6명은 베이징으로 출국하고 태권도 시범단은 경의선 육로를 통해 방북한다. 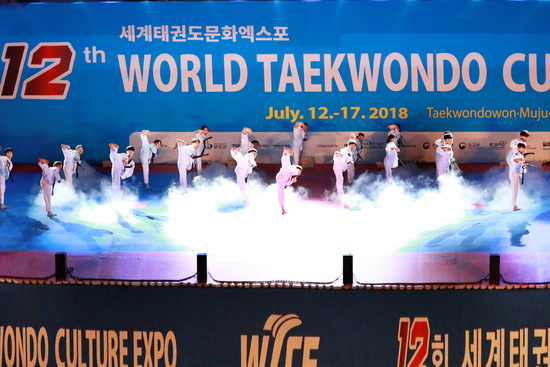 WT와 ITF 태권도 시범단은 2월 9일 열리는 2018 평창 동계올림픽대회 개막식 사전공연에 참석해 합동 시범을 펼친다. 또한, 2월10일은 속초시 강원 진로교육원, 12일과 14일에 각각 서울시청 다목적홀과 MBC 상암홀 등 총 4회에 걸쳐 합동으로 시범할 예정이다. 평창 동계올림픽대회 개막식 사전 시범을 제외한 나머지 총 3회 시범에서 WT와 ITF가 각각 25분 및 합동 10분 등 총 60분간에 걸쳐 시범이 진행된다. 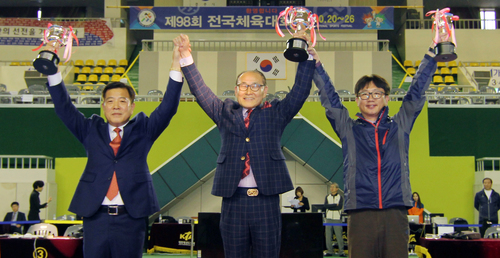 WT와 ITF는 2014년 8월 유스올림픽이 열린 중국 난징에서 토마스 바흐 IOC 위원장이 참석한 가운데 조정원 WT 총재와 당시 ITF 총재였던 장웅 IOC위원이 상호 인정과 존중, 다국적 시범단 구성 등을 약속한 합의 의정서를 채택한 한 바 있다. 합의 의정서에 의해 2015년 5월 러시아 첼라빈스크에서 열린 세계태권도선수권대회 개회식에서 WT와 ITF 태권도 시범단이 사상 처음으로 합동 시범을 선보였고, 이후 2017년 6월 무주에서 열린 세계태권도선수권대회 개회식과 폐막식에도 ITF 태권도 시범단이 방문하여 시범을 펼친 바 있다. 그 당시 조정원 총재와 리용선 총재는 평창 동계올림픽에서도 태권도 시범단의 합동 시범을 구두로 합의 후 8개월 만에 시범이 열리게 되었다. 이번 평창 동계올림픽 태권도 시범에 참석하는 ITF단원은 감독 두 명 포함 총 20명으로 송남호 감독 및 10명의 단원은 지난번 무주 세계태권도선수권대회 참가했던 단원들로 구성되었다.